Located between I-35 E and I-35 W on Highway 407, and just 3 miles north of Flower Mound, Double Oak residents can easily connect to both Dallas and Fort Worth. The Town of Double Oak is a suburb of Dallas, but enjoys a unique positioning in the Metroplex, which separates it from the busy lifestyle of the city, while remaining only 15 miles from the Dallas-Fort Worth International Airport. The town enjoys a low crime rate and easy access to both Grapevine Lake and Lewisville Lake. With nearly half of the homes having children, these are important factors in this family-driven community. Students attend Denton ISD and Lewisville ISD, both of which have received “Exemplary” and “Recognized” ratings by the Texas Education Agency. The Town of Double Oak is a wonderful, quiet family community. Located just 8 miles south of Denton and between I-35 E and I-35 W, Lantana residents are conveniently close to both Dallas and Fort Worth. 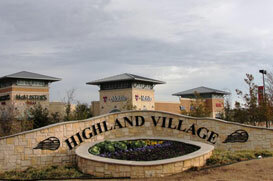 This master-planned community was beautifully designed with a Hill Country theme. While residents enjoy all the entertainment and job opportunities of the Metroplex, they live in a safe, family-oriented community. Residents are encouraged to take full advantage of all the amenities that come with living in Lantana. At the center of the community is an 18-hole golf course, which residents use for sport and relaxation. The community also boasts four community pools, four fitness rooms, and hike and bike trails. At the heart of the planning is The Town Green, a beautiful outdoor area with a gazebo for residents to come together and enjoy time outdoors. Lantana students attend Denton ISD, which has two elementary schools and one middle school within the community. Lantana is truly designed to foster a close-knit community of family and friends.